Barely ten years ago cell phones were still pretty rare, but these days many people can't live without their digital companions. One big problem with mobile electronic devices though is that they consume a lot of power, and this can be a problem if you're going out on vacation, camping or LAN partying because you may not always have access to the power grid when your toys are running low on juice. 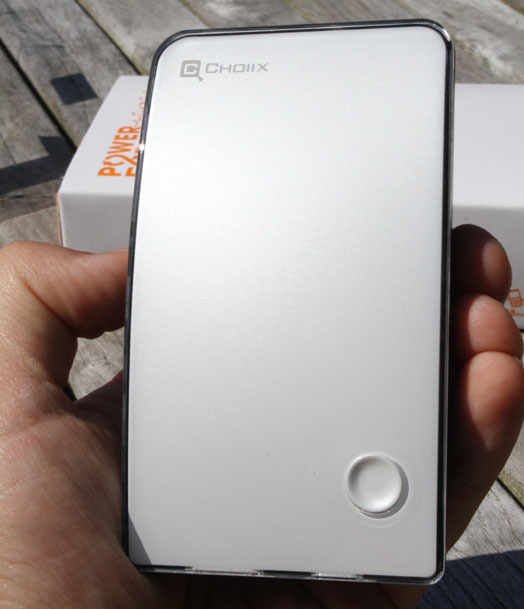 This is where the Choiix Power Fort comes in handy, it's a compact multi-purpose 10Whrs battery pack capable of charging portable devices that can be recharged through USB. It's perfect to power most smartphones, PDAs, GPS units, handheld consoles, MP3 players and even the Apple iPad. As an added side bonus, the power pack also featured an integrated LED flashlight. 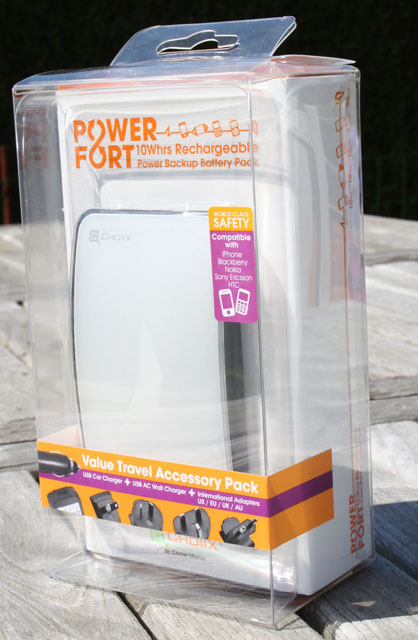 In this review I'm taking a look at the Power Fort Advanced, this model comes with a lot more goodies than the Standard version, the extra accessories enable you to recharge the Power Fort via an AC wall charger and the bundle also includes a car charger and adapters for use in foreign countries. Both the Standard and Advanced version are available in white or black. The Choiix Power Fort ships in a plastic box that explains all the features of the product. The Power Fort has a glossy silver top with a small Choiix logo in the upper left corner and a round power button in the bottom right corner. Pushing it once will light up some blue LED indicators that show the battery status, while pressing is twice will activate the LED flashlight. 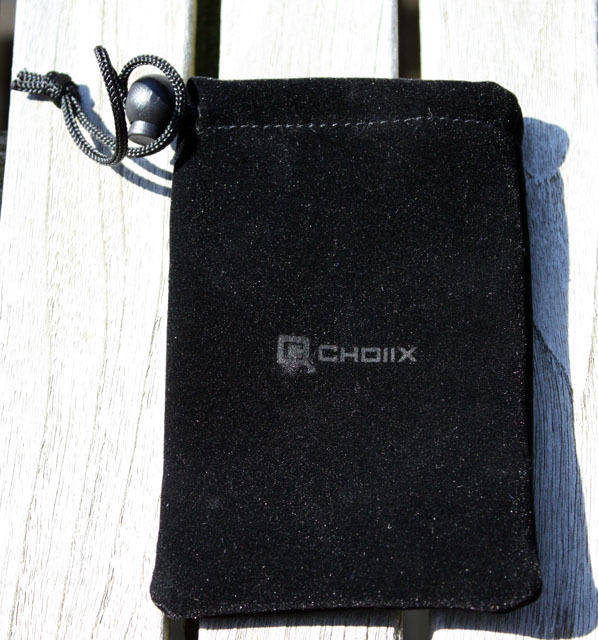 The device is pretty compact, it measures just 110mm x 64mm x 12mm (4.3 x 2.5 x 0.5 inch) and weighs a mere 102g (3.6 oz), making it a perfect travel companion. 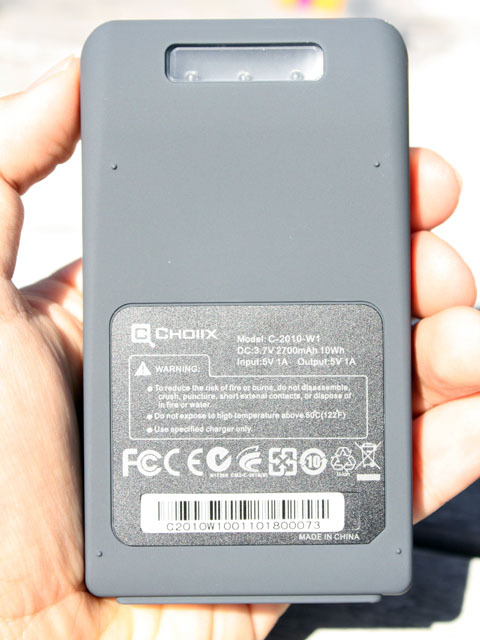 The back of the device is made of soft black plastic. It contains some warning messages and at the top you can see the flashlight, which consists of three bright white LEDs. The flashlight is a great bonus feature of the Power Fort, it's not something you can use to find your way in the woods, but it's quite handy to find something in a dark room or to help you find the door lock when you get home at night. These LEDs use very little power, so you should be able to use the flashlight for many hours before you've completely drained the Power Fort's battery. On the next photo you can see the in- and output ports. The battery pack has a Mini-USB input port to recharge the integrated battery, the Power Fort Standard can be recharged via the USB port of your desktop PC or laptop, while the Power Fort Advanced can also be recharged via its included AC wall charger or car charger. One major limitation of the Power Fort is that you can only recharge USB-powered devices, but this should become less of a problem in the future as all major handset makers have agreed to use standard micro-USB connectors on most of their phones by 2012. Both the Standard and Advanced version of the Power Fort come with the necessary cables to recharge devices with mini-USB and micro-USB connectors. The Power Fort features a 2700mAh 10Whrs lithium-polymer battery back. According to the company, the device should still offer at least 85 percent of its max capacity after 500 time charge usage. Typical smartphones feature a 1100mAh to 1500mAh battery, so theoretically a fully charged Power Fort should be capable of delivering around two full charges to typical smartphones. 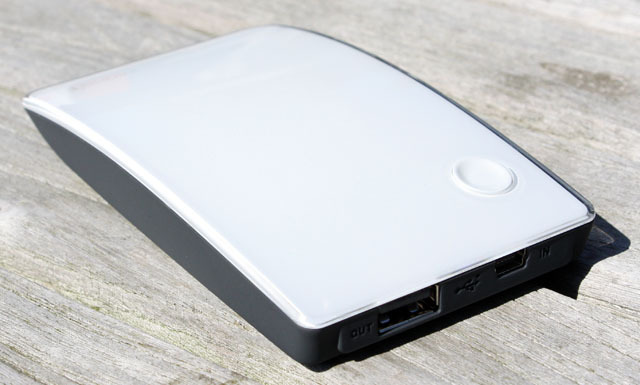 Devices with smaller batteries like MP3 players and Bluetooth headsets will get many more full charges out of the Power Fort, while bigger devices like the iPad will not get much more than one third of a full charge out of this compact battery pack. Included in the box is a black carrying bag for the Power Fort and its cables. 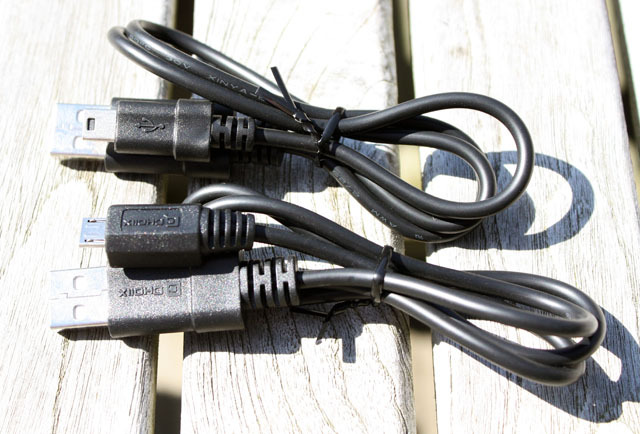 Pictured below are the Mini-USB and Micro-USB cables.